The girls cheer on their teammates at a home game versus Downers Grove South. Midway through a sports season, it is easy for athletes to become unmotivated and lose sight of why they put themselves through the physical and mental challenges of being in a sport. As student athletes in the winter season, the slump of returning to school after break mixed with athletics can be difficult. 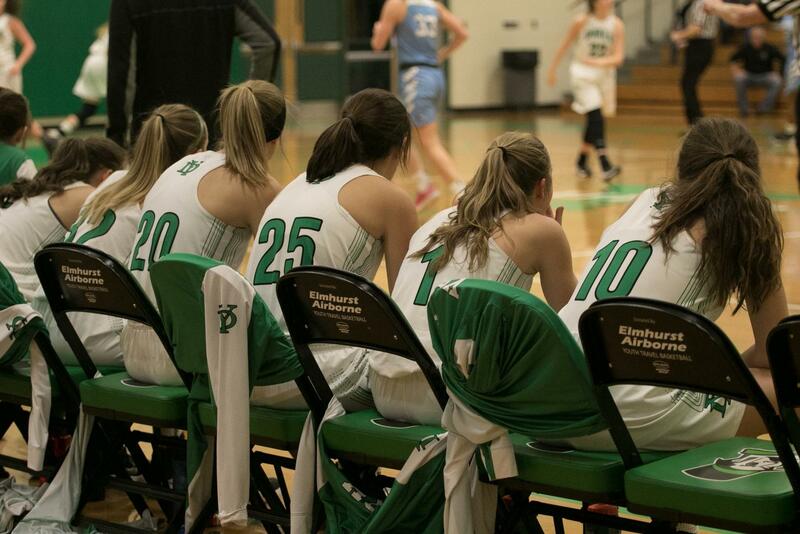 For girl’s varsity basketball, this unfortunate normality affected their first few games of the new year. Three close losses against important conference competitors tainted the team’s record in the beginning of January. Yet, their recent game against Hinsdale Central has turned everything around. 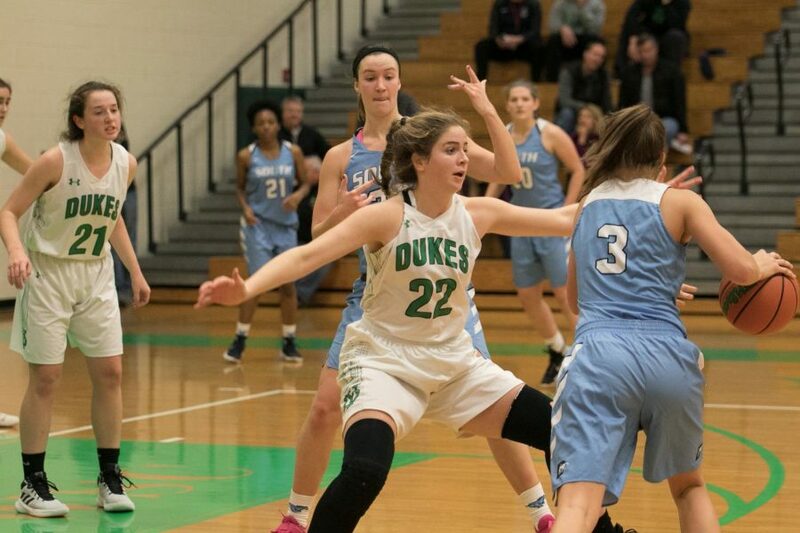 After a long team meeting about how to recover from their untimely losses, the girl’s stepped back onto their home court to give it their all and redeem themselves. They discussed things like work ethic and mindset with their fellow teammates and coaches. Four quarters later when the buzzer went off, the scoreboard read an astonishing 75 points for the home team, and 42 points for the guests. The team had a strong start to their season, with a new coaching staff and multiple skilled sophomores and juniors who hadn’t played varsity before. The win against Hinsdale has certainly helped them regain the confidence they had when the season started in November. Eventually, the girls ended up learning from the difficulty of the losses and using the opportunity to grow. A majority of the team has been playing basketball since elementary school, many of them playing on the same travel teams together. With so much experience, they have learned to work together and communicate in an effective way. Proceeding into the rest of the season, the girls have hopes to keep their winning streak and momentum going. On the court, the team has many goals for the rest of the season, while continuing to bond off the court. The team's captain, junior Sara Krissinger, communicates with junior Bridget Los to defend against Downers Grove South. Make sure to catch this hardworking group play OPRF at a home conference game this Tuesday, January 22!